My next exposure was when my sister, who is 8 years older than me, would let me tag along with her when she went to play with her high school friends. She would have been about 17 or 18, and I was 9 or 10. Most of the time I would just watch them play, but sometimes the DM would give me one of the NPC's he had rolled in prep of the adventure and let me play along. This is where I first saw polyhedral dice, first heard rhyming puzzles, and first got truly hooked on the magical world of d&d. Just a tiny sample of my shelves. I'll admit that a lot of the puzzles went over my head, and I made some foolish choices with my characters, but this is where I learned all about elves and wizards and halfling thieves. I immediately started reading Lord of the Rings, and as soon as I finished that, I devoured every Drizzt adventure R.A. Salvatore had written up to that point. 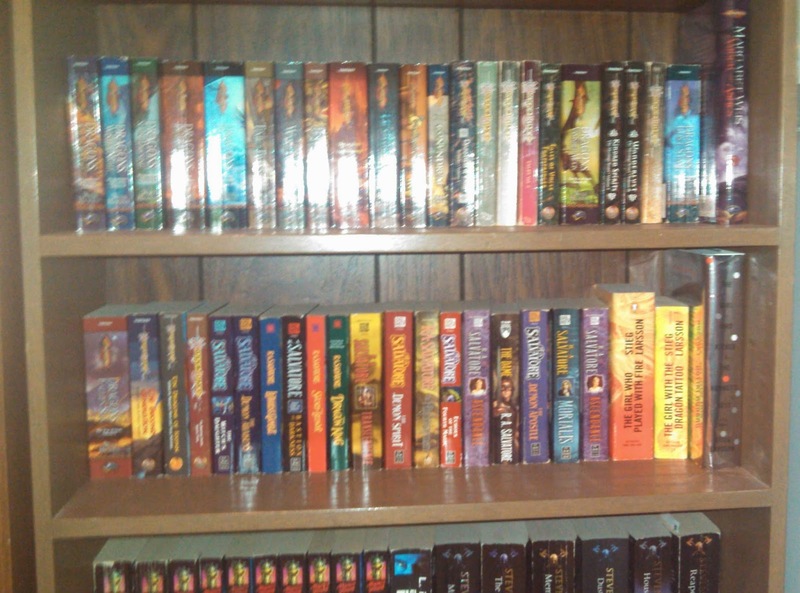 20+ years later I still have about 30 feet of bookshelf filled with forgotten realms and Dragonlance books. I have moved on to what I hope is more sophisticated literature, but fantasy and sci-fi are still my main draws. Unfortunately my sister left for university a year later, and so my RPG gaming stopped for 10 years. I still sucked up everything fantasy I could get my hands on, but I had no one to play with. I am missing a d10 from this set now. Fast forward to when I met C.D. and we worked in a theme park theatre together. I didn't realize how much I missed gaming until we started that 2E adventure. It was like coming home after a long time out of town. I took the time and inkjet ink to print out a 2nd Ed PHB (369 8.5x11 pages! 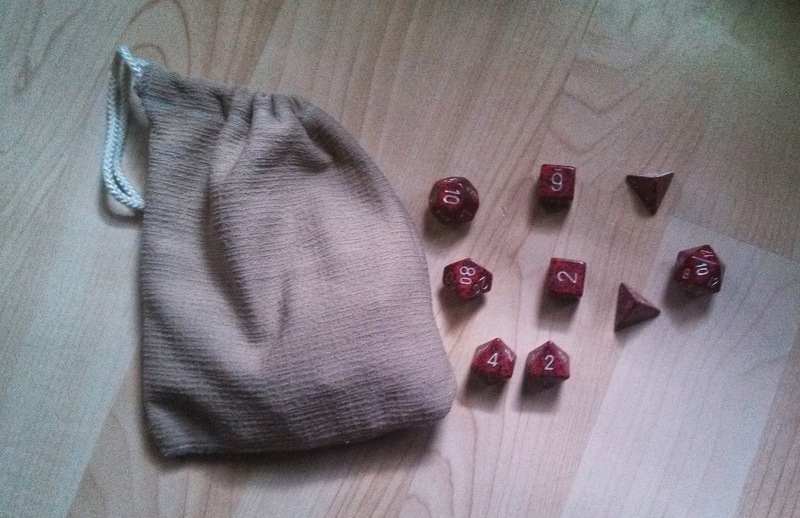 ), bought my first set of dice (red speckled; C.D's right, you never forget your first) and we spent countless hours at work, in my parents basement, and at C.D. 's place playing. I was still very green as a player and needed some guidance along the way, but that first adventure rekindled my love for gaming. Perhaps 5th Ed. will be joining these. This was all just as 3rd edition was released, and so I went out and bought all 3 core books, and our next adventure was 3rd edition. At this point I had the gaming bug pretty bad, so I also picked up every used 2nd edition book I could find. 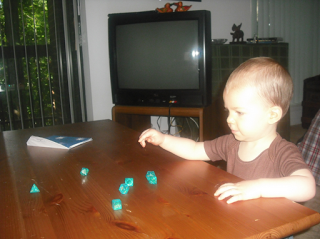 We began mixing in board games, and we even ran one game in 4th edition before deciding we hated it. I think it was a mix of her being a saint, and me being way too mature for my age. Kids my age were boring. Also, I think she got more leeway from my parents about what she was allowed to do if I was tagging along. "You can't get in too much trouble if you're busy taking care of your brother." Wow, your shelves bring back a nostalgia wave for me. 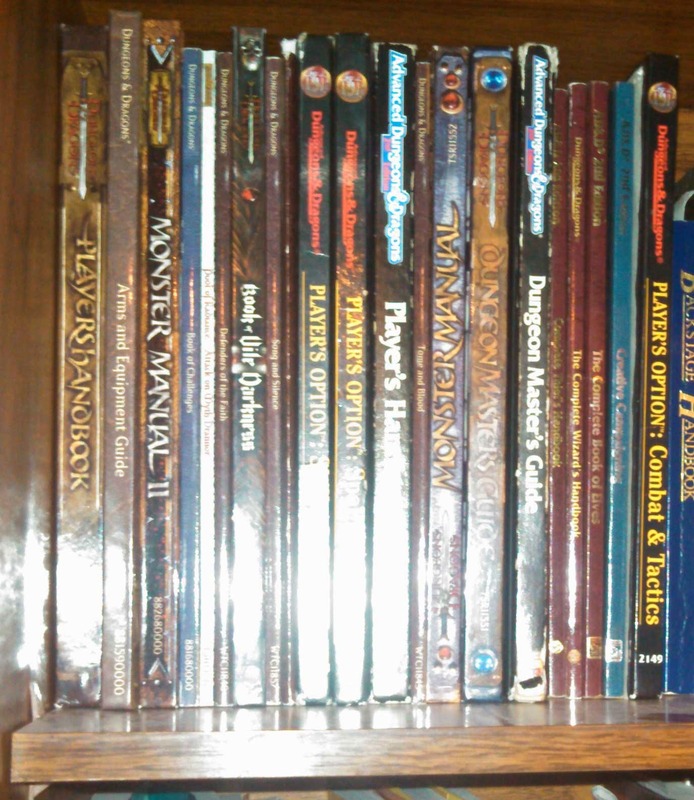 I had a friend that had all manner of Dragonlance and Forgotten Realms books. The same friend got me into D&D and I played for years after that. I've sort of dropped off playing RPGs, but I would still love to play them. It's just hard being in Japan I haven't found any groups to play with. I haven't ready any of either series in about 5 years, but I also can't bear to part with books I liked. Ever. So the shelves keep growing. Hopefully one day I'll find someone to pass them on to and keep the love of reading going in this world.